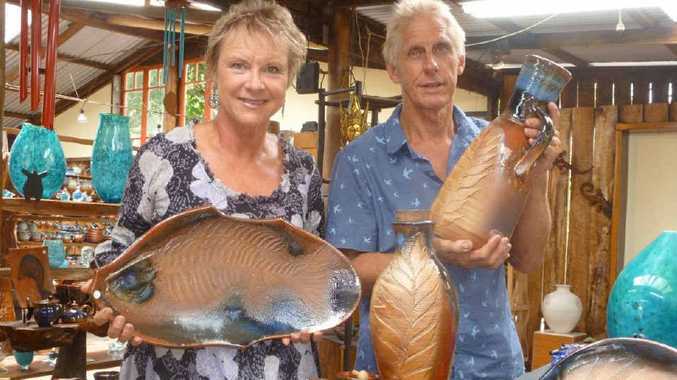 BYFIELD potters Steve Bishopric and Sue McBurnie are finally opening the gates to their renowned pottery sanctuary after being closed for more than a month. 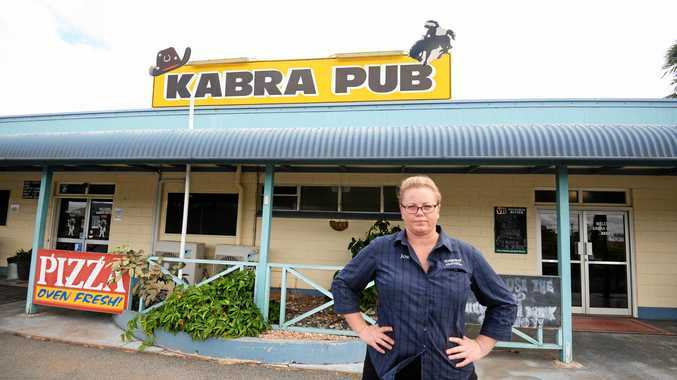 Like several Capricorn Coast businesses, they were severely impacted by Cyclone Marcia. Over the past month, Steve and Sue have been weather-proofing their home. They've been making safe their home and buildings and restocking their galleries. "We wanted to be open for our 32nd Easter exhibition," Steve said. "With a fantastic effort from staff, family, friends and volunteers, we have more than achieved our goals." Work started immediately after Marcia and the galleries were completely stripped to the floors, which had to be regrouted. Shelving was sanded and repolished and all the walls and ceilings water blasted. Stock was then cleaned and put back on display. 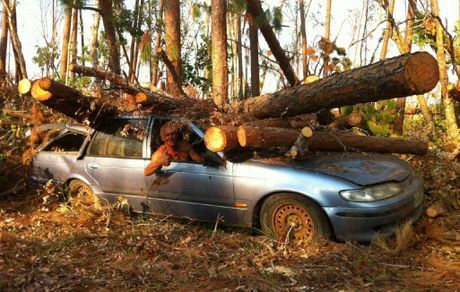 The grounds have had significant clean-up work done to attack the tangle of trees and debris left by the cyclone. The car park, picnic area and pool are all operating again. Steve and Sue were in Sri Lanka at the time of Marcia's impact and arrived home two days later. "It was a huge shock... nothing looked the same," Sue said. "We were straight off the plane and into weeks of chain sawing, clearing and gallery work. "Now, after six weeks, we can see some light at the end of the tunnel." The rainforest is starting to regrow. The gallery is 37km north of Yeppoon on the Byfield road. Nob Creek will be open this weekend from 10am to 4pm.